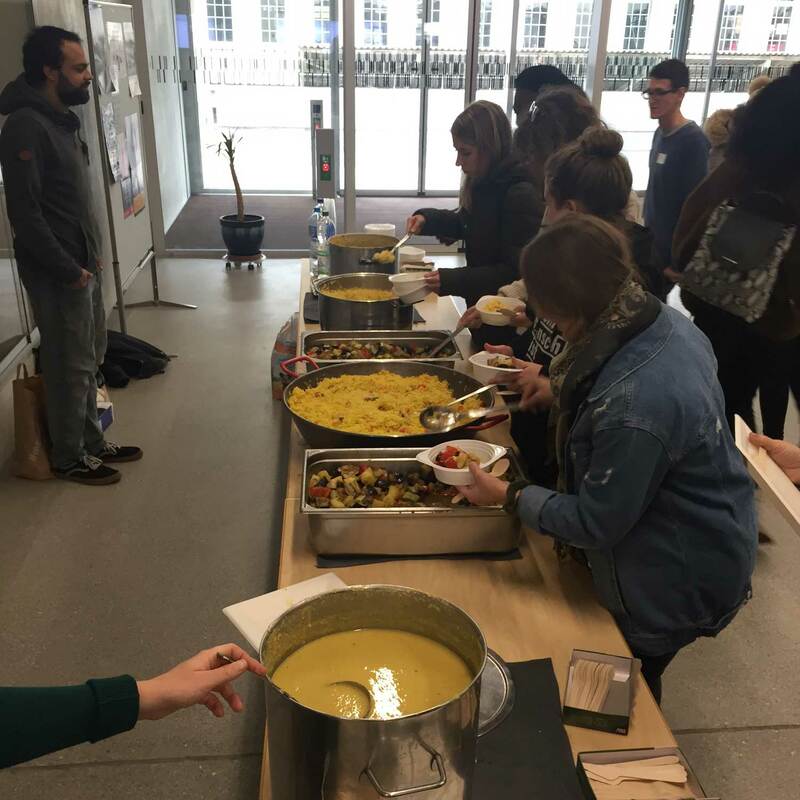 Tamanna, student of the ASH university in Berlin and Martina, student of the ZHAW School of Social Work, report from the «International Course: Migration and Social Work» in Fribourg. In these three days at the international course in Fribourg, we had the pleasure to be pampered with super food during three days. It all began with the first evening, where the atmosphere was very welcoming. We got to know Fribourg by visiting some social work projects and then we went to a nice bar. There we had wine and some vegetables, bread and cheese. On the next day we had great lunch at the university of Fribourg. The buffet was Ethiopian – more precisely, they served colorful vegetables and spicy meat dishes with Injera. It was extremely delicious. During the next few days, we experienced even more delicious food of different countries: middle east snacks like Falafel, chicken fritters with some healthy vegetables, fresh coffee, croissants, tea with fruits, Pakistani food like chicken Biryani, vegetable curry and creamy moong dal soup. Everything was very delicious, mouthwatering, tasty, delightful, gorgeous, lip smacking, yummy, wonderful in taste and aroma, never unappetizing, unappealing, or tasteless. All lunch and coffee breaks were long enough and always loaded with fresh food which we appreciated a lot. It now seems that the lectures were only a minor matter held between the coffee breaks, lunchtime and evening snacks, which was not the case. But the good food was just an addition to the very well organised and interesting course.